Hydraulic-Pro Street / all out Bracket Racing. 3500 to 4000 stall, 10:1 to 11:1 compression. aftermarket manifold with 750 CFM carb. 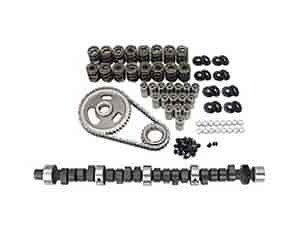 Does COMP Cams K20-244-4 fit your vehicle? In the details it says it fits and small block from 68 to 2000. Will this fit a 5.2L in a 1997 Dodge Dakota? No, your engine requires a hydraulic roller cam.